Mansfield Legacy safety Jalen Catalon ended his recruitment Friday afternoon when he pledged to Arkansas over programs like Texas and TCU. 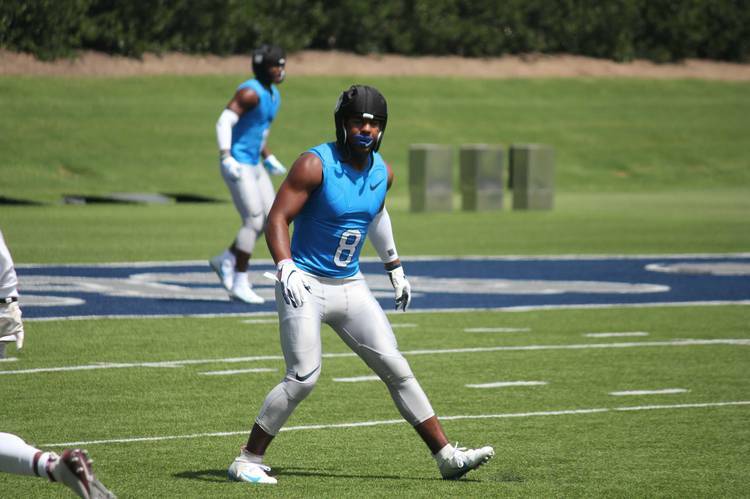 The four-star prospect starred at quarterback and safety during his high school career, which ended prematurely after a knee injury in the first game of his senior season. Catalon is also a star at centerfield for the baseball team and plans to play both sports in college. Catalon is the No. 21-ranked prospect on the 2019 Fabulous 55 and was the highest-rated uncommitted prospect on the list. Texas’ class signed 22 members of the 2019 class during the early signing period. The only player committed who did not sign in December was four-star offensive tackle Javonne Shepherd.